In practice, we see a high demand for knowledge of penetration seals in fire barriers. With our unique training programme, we teach installers how to apply a proper and certified seal to openings around system penetrations and in joints and seams. What products are available for penetration seals and how do you use them? Participants learn what measures to take in order to protect a building from fire according to fire the requirements. After all, buildings must be protected from fire to ensure the safety of employees, visitors and residents. To meet these requirements, Mulcol International strives for high quality in its product applications. Students receive a personalised badge after successful completion of the training programme. This allows students to demonstrate that they are Mulcol-trained to work with firestops. Target groups include installers who work at companies, such as application firms, who spend at least 50% of their working hours sealing openings, joints and seams. The company for which the participating installer works must be in existence for at least 3 years and must have projects every month in the area of building fire protection. Installers trained by Mulcol must take a refresher at least once a year. This keeps them up-to-date on the latest developments in the area of building fire protection. In addition to taking the training programmes, installers trained by Mulcol are also tested on projects agreed in advance. 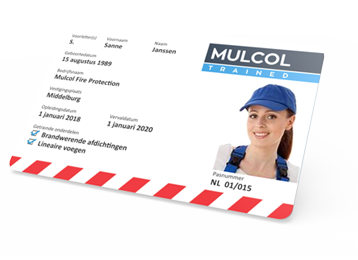 The training programmes are free of charge and all course materials are provided by Mulcol. Read more about training programmes here. Would you like to learn more, or make an appointment? Please do not hesitate to contact us. Want to have a quick look at an image, product video, animation or installation manual? You can use Mulcol Multimedia and Apps to view or transfer information quickly and easily. You see exactly what the products look like. 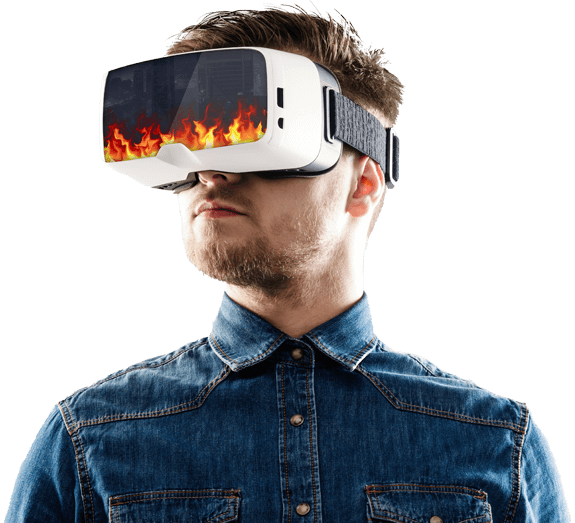 You also see how to use them to create a fire compartment. All of our apps are available for download for iOS and Android!